Hi, I’m interested in Take Away Start Up Special. Please contact me. Thanks! 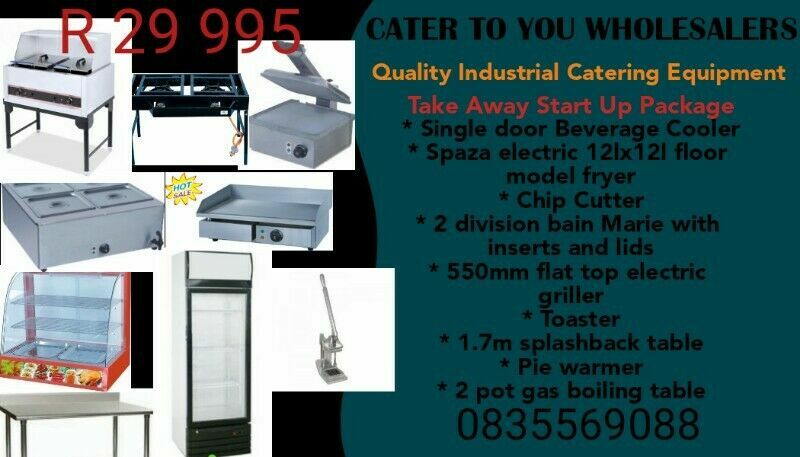 BRAND NEW INDUSTRIAL TAKE AWAY, BAKERY AND BUTCHERY EQUIPMENT.